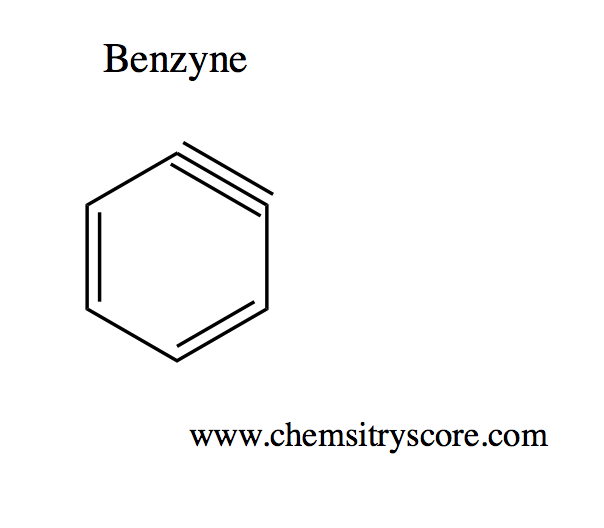 Benzyne is an example of the group aryne, which consist of a triple bond. 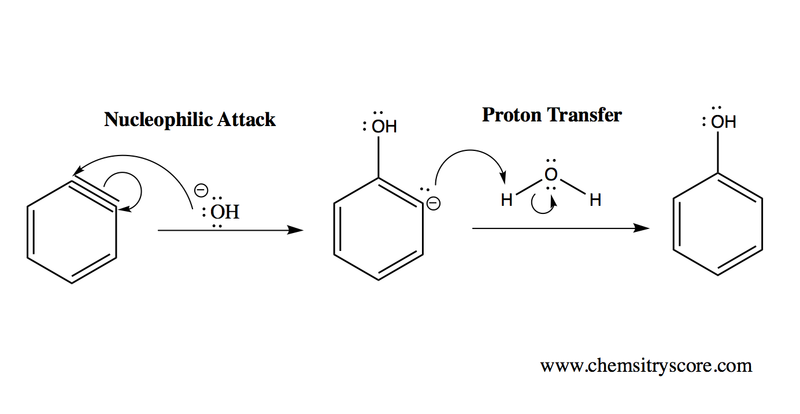 It is a high-energy intermediate formed during the elimination-addition reaction that occurs between chlorobenzene and either NaOH (at high temperature) or NaNH2. Because of the triple bond, the sp2 hybrid orbitals are extremely weak, making benzyne highly reactive. This means that the sp2 orbitals along with the other p orbitals overlap poorly. Moreover, because the triple bond consist of a region that is electron dense, benzyne only lasts as an intermediate in most reactions. The mechanism in which benzyne partakes in is typically elimination-addition reactions. Elimination results in the intermediate compound (benzyne), while addition results in a newly formed compound. Remember that the triple bond is poorly overlapped at the orbital level, and thus is highly reactive. Almost all reactions with this intermediate will occur at the triple bond.